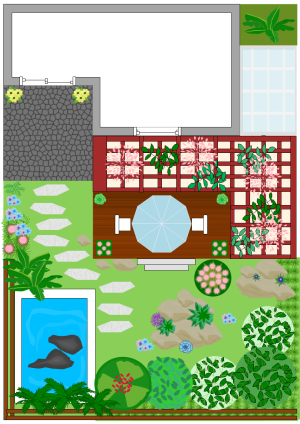 Creating garden design with free templates and examples. Garden design has never been easier. Garden design is the art and process of making plans for layout and planting of gardens and landscapes. Garden design is the foundation of any great landscape. A beautiful garden will make you and your families have a good mood and a nice time together. What does your dream garden look like? 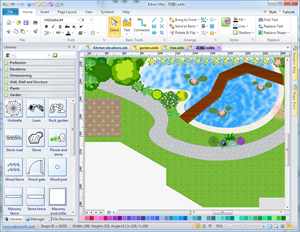 Show us your dream garden via Edraw garden design software. Edraw enables you to create a beautiful garden without a big budget. 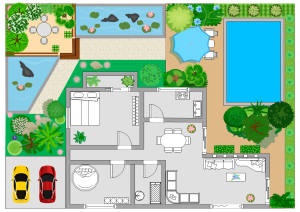 Edraw garden plan software offers an easy way to design the blueprint of your future gardens. 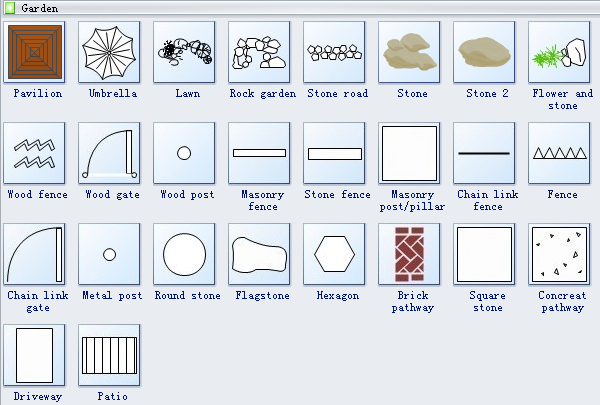 It helps you lay out the structure and arrange the details with pre-made symbols, such as lawn, rock, stone, fence, gate, trees, flowers and a lot more. As the interface looks like the Microsoft programs, it's easy-to-learn and easy-to-use, no CAD drawing skills required. 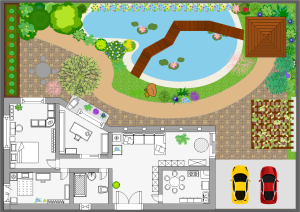 Through dragging and dropping built-in shapes, you can finish your dreamed garden plan in just minutes. When finish, you can export the diagram to many different formats and share with others. Edraw garden design templates offer you lots of garden design symbols and floor plan symbols such as pavilion, umbrella, stone, wood, door, wall, fence, plants, etc. Moreover, Read grow healthy plants steps mind map here. You can also learn how to grow lilies and how to grow roses here. A front garden designs template, well-formatted and visually appealing, is available for you anytime. An elaborately designed garden floor plan example is presented on the right, which gives you creative ideas in garden floor planning. 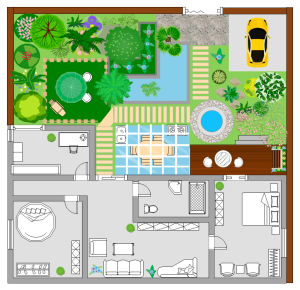 Have a look at this roof garden design template to improve your ideas of garden planning. 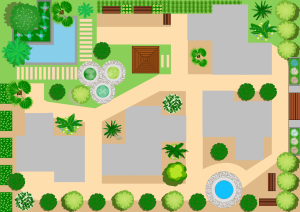 A nice landscape design template is available in vector format to benefit our users. A garden planner template is presented on the left, which is ready to use in vector format for your own designs.